EA Sports has been hyping a monumental announcement for NHL 12 all summer and now they’ve finally revealed the initial details of what they have in store. As has long been rumored legends are making their way into NHL 12 and will be integrated into the different modes. Though how it will all work still has not been made clear legends will be available to add to teams and cards featuring them will be obtainable in Hockey Ultimate Team. There reportedly is a mode dedicated to the legends as well, which turns out is just using them in Be a Pro. The entire roster of legends, of which there will be nine, are still to be uncovered but so far confirmed are Wayne Gretzky, Chris Chelios and Ray Bourque. 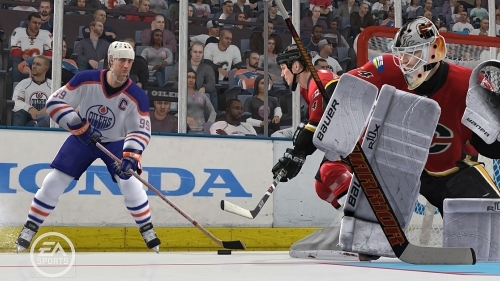 The news is already widely being received as a disappointment (mostly because it was severely over-hyped) and it seems highly unlikely the addition of these legends will change the mainstream perception of NHL 12 in even a fraction of the way that it did the NBA 2K series.